Certified Organics: This Organic Oil is NOP Certified. The National Organic Program develops, implements, and administers national production, handling, and labeling standards for organic agricultural products. The QAI also accredits the certifying agents (foreign and domestic) who inspect organic production and handling operations to certify that they meet USDA standards. 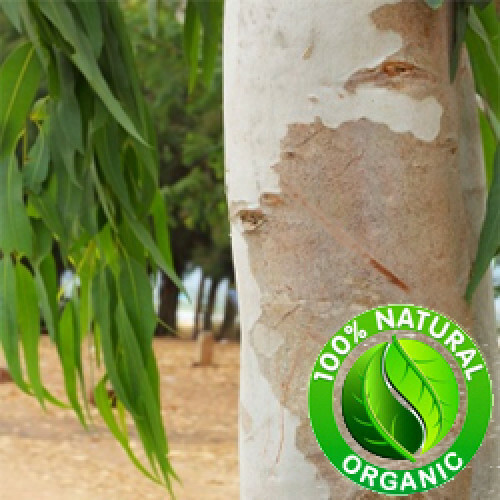 Eucalyptus Radiata is commonly known as “narrow-leaved Peppermint”. The young trees have oval bluish-green leaves while the mature trees develop long, narrow, yellowish leaves, creamy-white flowers and a smooth, pale grey bark. Eucalyptus Essential Oil has been used on all sorts of skin ailments such as burns, blisters, wounds, insect bites, lice, and skin infections. It has also been used to combat the effects of colds and flu. There is also a history of Eucalyptus essential oil being applied to sore muscles and joints, and with its high content of Cineol, or Eucalyptol, has been popular in products which relieve colds and congestion.